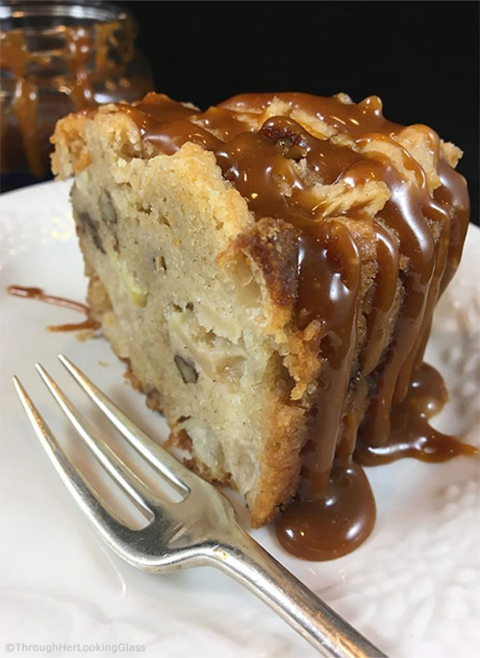 There is nothing sweeter than a salted caramel apple cake that is just too good for words. With the fall almost here, this is the kind of cake that you want in your kitchen to just cozy up and eat it all day. The best part about this cake is not how sweet it is but how easy it is to make. The recipe is easy to follow so if you haven’t made it before, you won’t make something wrong but will still come out the best. You will discover taste buds in your mouth that you never knew existed with this cake that is just delicious and with whole lots of flavor. Caramel Sauce just makes it even better, and you can almost feel how amazing it is as you are making it. So, if you want, this is cake recipe that will bring out the best in you taste buds.